You're lookin' good! 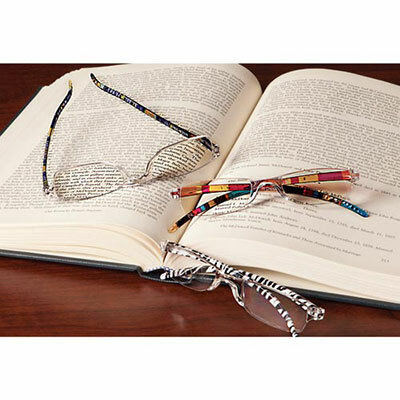 Our bright Colourful Readers are full of personality and fun to wear. Have a pair for every handbag, every room. Chic, frameless styling in durable, lightweight plastic. Set of 3 includes multicolour stripe, blue/green stripe and zebra stripe. 5¼"w, 1"h.